2016 American Eagle silver bullion coins slipped this week from the record pace that was set by last year’s coin when it notched annual sales of 47 million. Silver Eagle monthly sales from January to May topped those from a year earlier, and accumulated a lead of nearly 6.47 million coins. Then things turned, as the advantage after June eased to 4.46 million coins and then dipped to just 305,500 coins by the end of July. 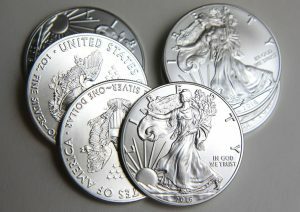 The lead was lost entirely on Wednesday and by Friday sales of 2016 American Silver Eagles totaled 27,695,500 coins, down 676,500 or 2.4% from the 28,372,000 coins delivered through the same stretch of time in 2015. Similar to past years, this year’s issue launched under an allocation system that restricted sales amounts because of silver planchet shortages. Demand for new bullion coins usually lessens in summer months, enabling the U.S. Mint to at least temporarily suspend its allocation policy. That happened this year on July 18, and sales only slowed more since then. In contrast, monthly sales in the summer of 2015 were among the best in the coin’s 30-year history. *As of Friday, Aug. 5, 2016. Last year in June, the U.S. Mint stopped allocating the coins but only for a short time. Demand for them surged and the Mint depleted its supply. Their sales were muted from July 8 until July 26 when enough coins had been made to resume rationing. Still, the month went on to rank as the Silver Eagle’s 5th best ever. In contrast, their sales during this past month reached only 1.37 million coins, the slowest monthly level since December 2013. A major difference between this summer and last is the price of silver. The precious metal fell below $15 an ounce in July 2015 so many people ordered American Silver Eagles because they were cheaper. Silver this summer scored 2-year highs atop $20 an ounce and these same people are now selling their coins for profit. 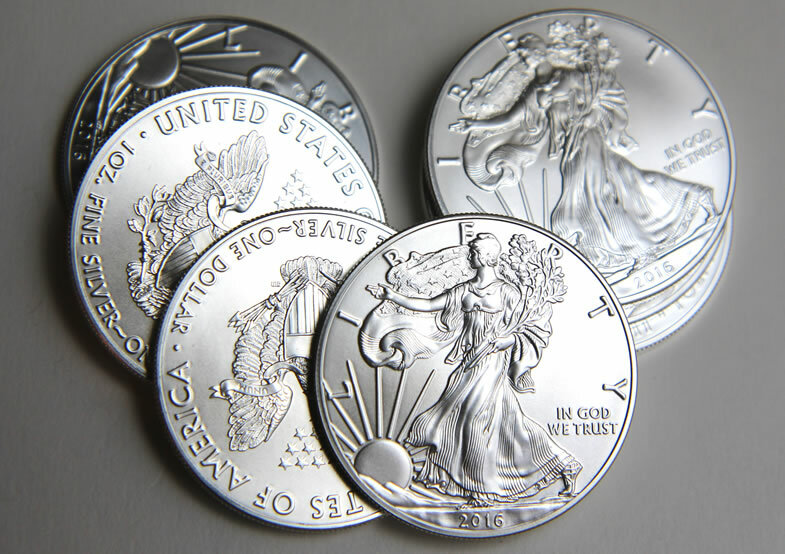 The U.S. Mint does not offer American Eagle silver bullion coins directly to the public. They are sold through a network of authorized purchasers who consist of major coin and precious metals dealers, brokerage companies, and other participating financial intermediaries. AP’s must pay the U.S. Mint $2 more than the spot value of each coin they buy. They order them in bulk and then resell them in smaller quantities at a markup. Dealers are now selling them for around $3.25 to $5.00 each over spot, with discounts offered at higher quantities. On Sept. 16, the United States Mint will sell an anniversary proof American Silver Eagle that includes an incused edge. It is amazing how fast the ASE bullion coin sales have dropped off. I posted here a few times in the past 3 months that this would not be a record year for these $1 bullion coins IMHO. With two record years in a row in 2014 & 2015 it is unlikely to happen again. Yet, the fairly big drop in precious metals today due to the better than expected jobs reports may bring in some buyers on the dip, but not much since the marketplace is vastly oversaturated with these common bullion version coins. Happy bullion coin investing everyone! Just wait till you see the price of the special edge-lettered 30th anniversary Proof & Uncirculated Burnished finish ASE $1 coins due to the extra cost of the special collars & long test striking period that has cost the Mibt a lot of extra money for the 2016 collector versions. With silver up a lot this year & the extra production costs, I think we are looking at closer to $60 than $50. Just a guess. Thank goodness I never got into the collector ASE’s, yeah the Mint has lost a ton of $$ on the collector ASE due to their delays (to put it kindly). Wonder if Congress, just out of the blue imposed this edge lettering on the Mint or is there something more like the Mint giving an alternative to not having a special design for the 30th Ann. version. …. lost my train of thought .. The US Mint & Congress- strange bedfellows for sure! You just reminded me about your & my earlier posts about the Swiss Shooting Thalers. I got an email from MCM in Sarasota, Florida that they bought a large collection of these graded by NGC that they are offering at fixed prices on their website . They are not the old ones, but as we agreed they have some very beautiful designs each year.